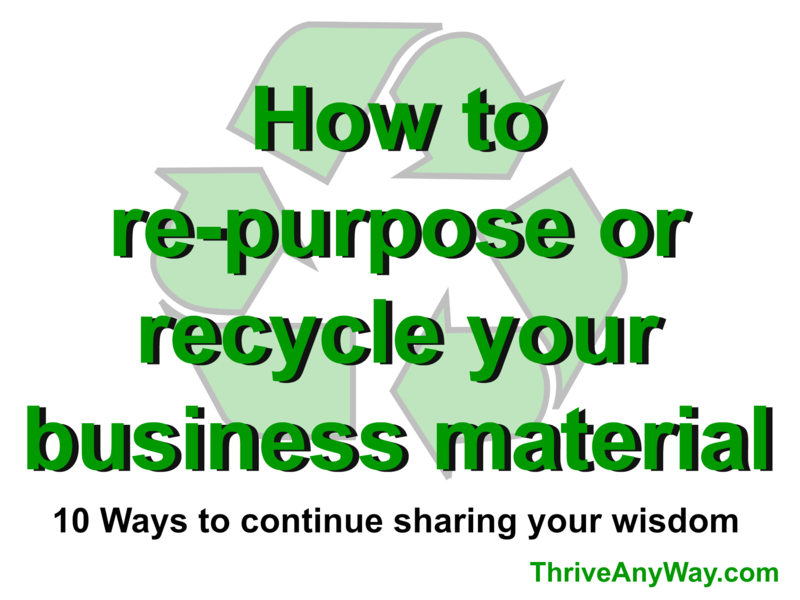 How do you recycle or re-purpose your business material? You’ve written an article, posted a ‘how to’ on social media, taught a class, spoke at an event or appeared on a radio or tv show. Now what? What do you do with all the gold that you shared to a group of people for one brief moment in time? Is it lost forever? I hope not. I would hope that you know that you have the power to re-purpose your material and reuse it until it no longer serves. I’ve included a few ways to repurpose your gifts so that they keep on giving. You don’t always have to create new material. My suggestion is that you get into the mindset that you will keep your ‘stuff’ alive as long as you can. It comes in handy when you really need it. Put it in a blog – probably the most important place to re-purpose is in a blog. Once you insert a video, audio or document your great information into a blog, all you have to do is share the link whenever its pertinent. Create a video about it – (I’ll be creating a ‘how to’ on that soon) If you have a PowerPoint presentation or a presentation that you can turn into a PowerPoint, then create a video and put it on YouTube where it will live in perpetuity. Twitter – Not just twitter, but Hootesuite in particular. If you post a tweet on Hootesuite (there is a free version) you can save it as a draft and post it whenever the time is appropriate. I will scroll down my drafts and choose which items I want to retweet today and schedule them all day. Since the life of a tweet is so short, repeating the same tweet will probably reach a new audience each time. Giveaway – Offer your information as a product when someone hires you for your services. Let it be an incentive to take immediate action. Lead Magnet – Are you trying to build your list? 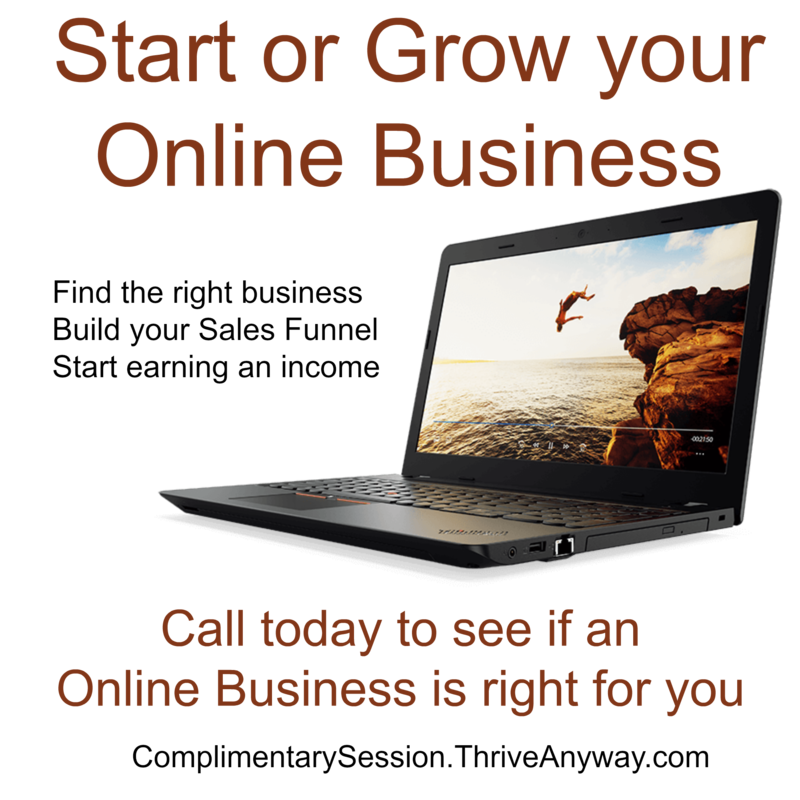 Then offer an optin form on your blog or webpage and have people sign up to receive this amazing offer! Share – You can ask other high-profile people on social media to post your information in return for reposting theirs. Webinar – If you think your little article was pertinent, you can build a webinar or teleclass around it. You can do it live or even prerecord it and then use that to share with others. Create an eBook – Once you have accumulated a few pieces of work, you can create an eBook and use it as an optin or even charge for it. People WILL pay to get all your work in one place. These are just a few ways to repurpose your information. Do you have others? If so, please share them here. I would appreciate it if you commented and shared this blog with others. Thank you!